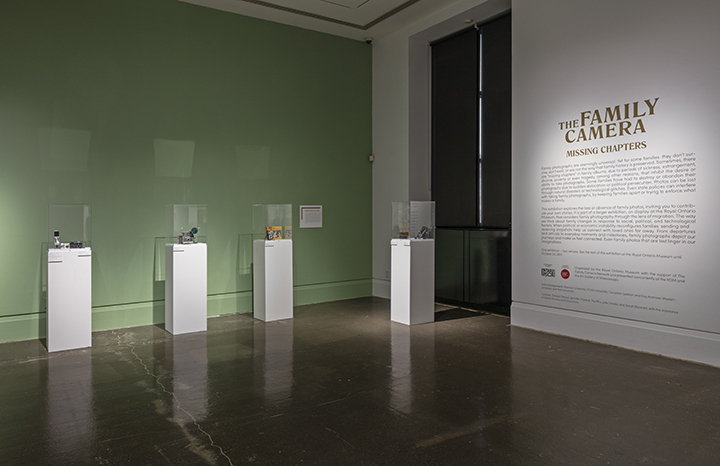 The Family Camera, organized by The Royal Ontario Museum and co-presented with the Art Gallery of Mississauga. This exhibition explores how family photos shape our sense of self, family, community, and nation. 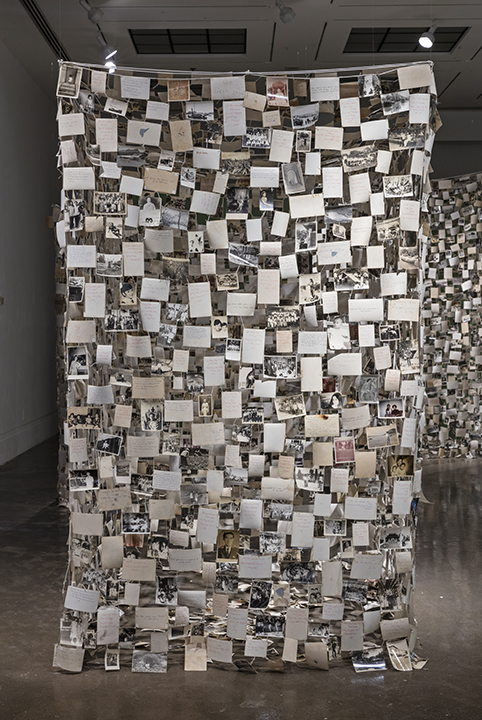 Exclusively at the AGM, "Missing Chapters" considers family photos that are lost, destroyed, abandoned or never taken, featuring an installation by artist Dinh Q. Lé. The Family Camera, Main Gallery, Art Gallery of Mississauga. Photo by Toni Hafkenscheid. Banner image credit: Top left: Agnes Rees. Courtesy of Ann Bassnett. Top right: Unknown photographer. Courtesy of Dr. Kenneth Montague. Middle left: Derry Martin. Courtesy of the Somerset family. Bottom Sang Thai. Courtesy of the Lu-Thai family.